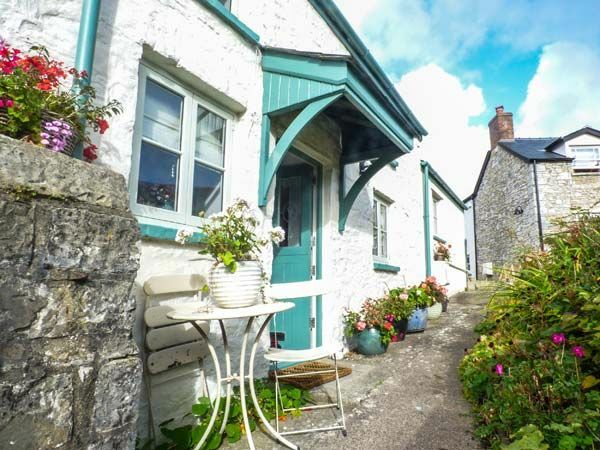 Garden View is a lovely detached cottage situated in the village of Llantwit Major just five miles from Cowbridge in the Vale of Glamorgan. The cottage can sleep two people in one double bedroom as well as a ground floor shower room. Also in the cottage is a kitchen, dining room, sitting room and conservatory. Outside there is free, public parking in the old school car park, just a minute away. There is also a patio with furniture. Garden View is a lovely romantic base from which to explore this beautiful part of the country. Amenities: Gas central heating. Electric oven and hob, fridge/freezer, washing machine, radio, iPod dock. Fuel and power inc. in rent. Bed linen and towels inc. in rent. Free parking in Old School car park, one minute away. Patio with furniture. One well-behaved dog welcome. Sorry, no smoking. Shop and pub 5 mins walk. Note: There is WiFi in the property, there are 3 steps up to the kitchen and 2 steps up to shower from the kitchen. Note: There is no TV at the property and mobile reception is occasionally limited. Note: Babes-in-arms welcome. Note: Open-tread stairs up to first floor. Town: Ancient buildings sit on every corner in Llantwit Major, one of the Vale of Glamorgans most beautiful villages, with the first church recorded in the settlement more than 1,500 years ago and lush countryside, caves and sandy beaches providing glorious surroundings. One double bedroom. Ground floor shower, basin and WC. Kitchen with breakfast bar. Dining room. Sitting room. Conservatory. Gas central heating. Electric oven and hob, fridge/freezer, washing machine, radio, iPod dock. Fuel and power inc. in rent. Bed linen and towels inc. in rent. Free parking in Old School car park, one minute away. Patio with furniture. One well-behaved dog welcome. Sorry, no smoking. Shop and pub 5 mins walk. Note: There is WiFi in the property, there are 3 steps up to the kitchen and 2 steps up to shower from the kitchen. Note: There is no TV at the property and mobile reception is occasionally limited. Note: Babes-in-arms welcome. Note: Open-tread stairs up to first floor.